Moscow has a sad but significant history of blasts and terrorist acts. Here are the main events from over the last few decades. January 8, 1977, the first terrorist attack in the Metro. An explosive device filled with metal pieces killed seven people and injured 37 between Izmaylovskaya and Pervomayskaya stations on the dark blue line in the North-East of Moscow, along with two other blasts in two grocery stores. The three culprits were caught and executed after trial. April 20, 1989, two homemade explosive devices were found and neutralized on the circle line, one at Paveletskaya to the south and the other at Prospekt Mira to the north. November 24, 1992, a minor blast occurred on the orange line at Prospekt Mira, when some teenagers threw a firecracker on to the platform. Nobody was harmed. June 11, 1996, a homemade explosive device equivalent to 400-500 grams of TNT was detonated on the grey line between Tulskaya and Nagatinskaya in the south. 4 people died, and 16 were injured. January 1, 1998, a homemade bomb exploded on the orange line at Tretyakovskaya, near the center of Moscow. Three people were injured and hospitalized. August 8, 2000, a strong blast in a Metro underpass at Pushkinskaya station in the center of Moscow claimed the lives of 12, with 150 injured. A homemade bomb equivalent to 800 grams of TNT had been left in a bag near a kiosk. 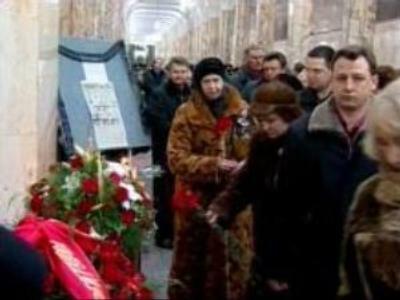 February 6, 2001, a blast on the circle line did not kill or injure anybody, but was officially acknowledged at Belorusskaya station, on the circle line to the north-west. February, 6, 2004 marked the biggest Moscow Metro blast so far, with about 40 casualties and hundreds injured on the green line. This was between Paveletskaya and Avtozavodskaya just to the south of the circle line. The explosive was equivalent to 4 kilos of TNT. 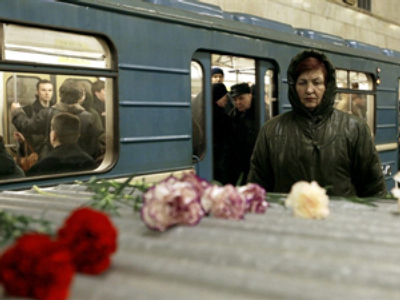 As a result of the attack, the system of video monitoring was introduced in the Metro. August 31, 2004, Rizhskaya (orange line north) a female suicide bomber committed a terrorist attack in the entrance hall of the Metro station. 10 people were killed, including the terrorist and her accomplice, while about 50 people were injured. The terrorist’s accomplice, Nikolay Kipkeev was the head of an Islamic terrorist group and was linked to two pervious terrorist attacks on bus stops in Voronezh, southern Russia in 2004, according to the investigators. July 11, 1996 a blast damaged a bus at Pushkinskaya Square, in the center of Moscow. The driver suffered some burns, while five people received minor injuries. The following day, July 12, a blast struck a trolleybus at Prospekt Mira, in northern-central part of the city, with 28 injured. November 10, 1996, 13 people died as a result of a blast at Kotlyakovskoe Cemetery, in the south of Moscow. 70 were injured. April 26, 1999, an explosive device blasted an elevator of the Intourist Hotel with 11 injured. August 31, 1999, an explosion at Okhotny Ryad shopping center next to Red Square killed 1, with 40 injured. September 13, 1999, a chain of apartment block blasts struck Moscow on Guryanova Street (to the south-east of Moscow, 106 killed) and Kashirskoye Shosse (to the south of Moscow, 124 dead). More than 300 people were injured. July 5, 2003. A blast at a major music festival in Tushino (north-west Moscow) claimed the lives of about 20 people with about 50 injured. A female suicide bomber blew herself up by the ticket office. October 23, 2002. Chechen terrorists took over a theater on Dubrovka Street (to the south of Moscow). As a result of an anti-terrorist operation all the attackers were killed. 129 people died. December 10, 2003. As a result of a terrorist attack committed by five female suicide bombers at the National Hotel next to Red Square, 13 were injured. August 13, 2007. An explosion caused the derailment of the Nevsky Express train bound for St Petersburg from Moscow. 30 people were injured, with two men from the northern Caucuses charged over the incident. November 27, 2009. Four cars from the Nevsky Express derailed while traveling from Moscow to St. Petersburg, caused by the detonation of 7 kilograms of TNT equivalent. 28 were killed and 95 were injured.